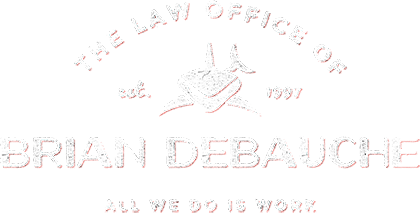 I am attorney Brian DeBauche, and I have practiced criminal defense, and civil law, throughout the state of Colorado for over twenty years. I’ll get you through this. My practice developed over many years to focus on in-depth litigation of all types; I am an experienced and capable lawyer for clients with civil and criminal issues. I have personally defended hundreds of clients accused of crime; litigated to the 10th U.S. Circuit Court of Appeals and the Supreme Court of Colorado for clients with both civil and criminal cases; and represented Comcast of Colorado for a decade on underground utility damage claims. I can appear for you in court in your absence in most cases. When you’ve been arrested it can be the beginning of a terrifying trip through the criminal justice system. To get the best outcome for a case involving criminal charges, you need an experienced, aggressive criminal attorney as early as possible, with competent investigators and staff that can handle the early stages of any case. I handle each case personally, and promise the best possible defense. For the best outcome on most civil cases, including complex divorces involving substantial assets and financial transactions, commercial lawsuits dealing with assets and forensic auditing, or underground utility damage, you need a team approach to discovery and investigation that does not consume your budget; and a serious attorney with the horsepower to push your issues in a courtroom or in negotiations with your opposition. I’m here for you in an emergency. Every case has an element of emergency; since most of them begin with confrontation, aggression, and argument. As a defense attorney, and in many civil cases, your lawyer must be able to stand up to pugnacious attorneys, stubborn opposition, and occasionally, hard-boiled judges who either dislike your case, or your own client. You need someone who can stand up to police and the forces of government, or moneyed opposition, and not back down. You need an experienced trial lawyer to fight for you. As a seasoned defense lawyer in Colorado, I have handled virtually every type of criminal case. My cases have ranged from the smallest traffic matters, to charges of murder and serious assaults. I have represented many clients as a DUI defense attorney, in Colorado. In addition to the hundreds of DUI and DUID cases I have handled, I also defended a number of alcohol-related vehicular homicide and assault cases. I take as much pride in successfully handing a DUI case for a client as I do with any serious felony; they can be just as complicated, and as serious in their effect. More recently, I represented business and commercial clients in financial disputes over business affairs; they become long-term investments in time and energy, and it is important for that long-term relationship to remain very open and honest; a case like that may require you to keep in contact with a law firm for a year or more. I believe that good representation in any type of criminal or civil case requires a lawyer with a broad background and experience defending serious cases where the client’s life, business, or freedom, are at stake. From the first case I handled as a Denver defense attorney, I realized that communication and cooperation between attorney and client are indispensable in getting the best outcome for the customer; since legal issues are complicated, the work can be intensive, and most people do not have a broad grasp on complex legal issues. A client’s satisfaction is based in part, on whether he or she knows their case progress, and whether everything that can be done for the client’s case, is being done. This is the kind of experience that I will bring to your case as your lawyer in Denver, the greater Metropolitan Area, and the courts of most counties in the Front Range.